Taking cues from F-150, Ford has completely redesigned its Super Duty truck line for 2017. 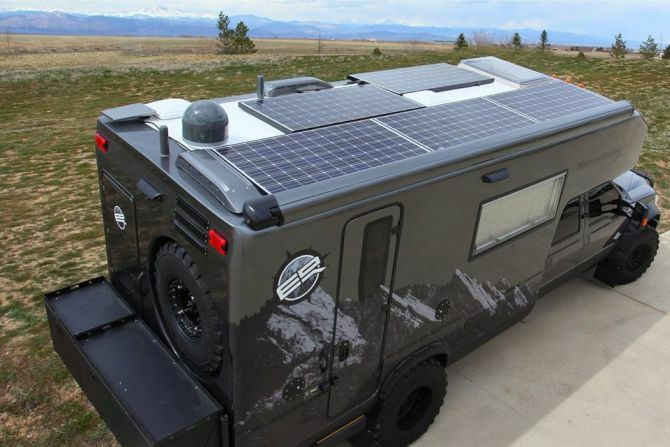 The truck line is constructed using high-strength, military grade, aluminum alloy body and gets a fresh high-strength steel frame. 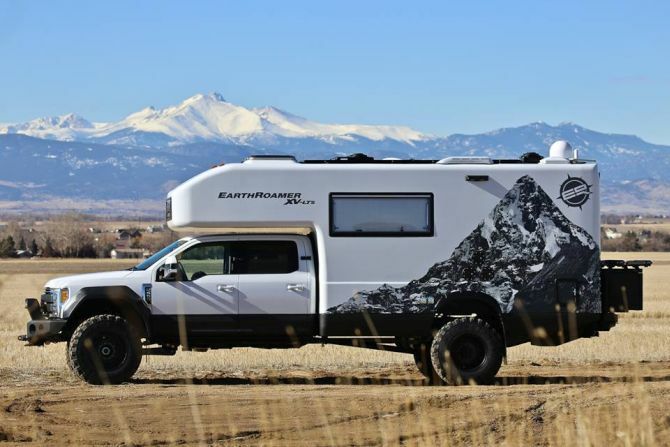 Thus, the new EarthRoamer 2017 XV-LTS is less in weight but comes with increased strength and rigidity. Besides that, the improved powertrain delivers 330 horsepower and 750 foot pounds of torque to the wheels. 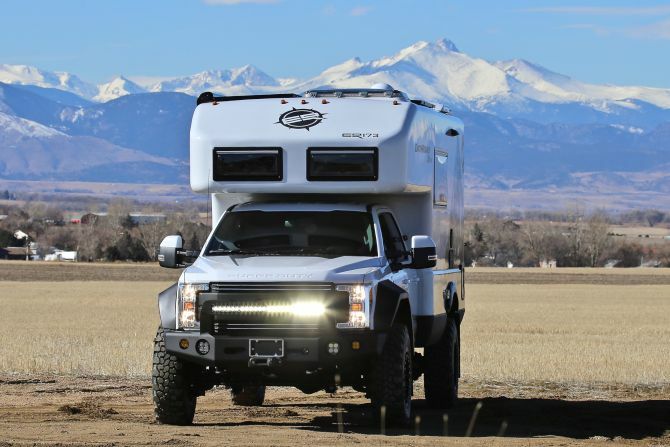 The advanced 2017 XV-LTS also packs an array of latest features from EarthRoamer to offer more capability, comfort, quality and convenience to their customers. 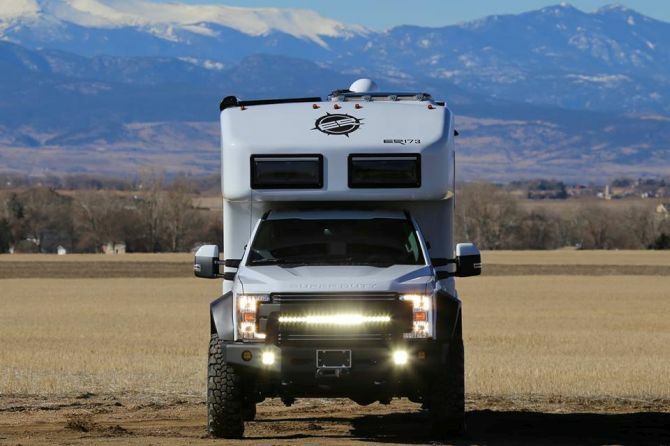 The completely redesigned front end includes a new bumper with an integrated 40” curved LED light bar. 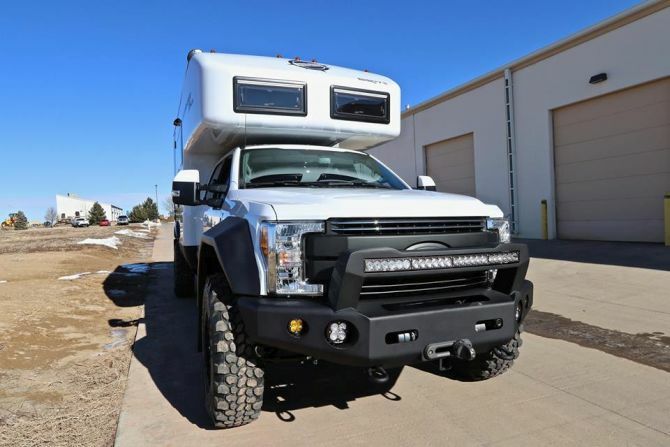 Inspired by angular lines of the new Ford chassis, it also boasts a more powerful off-road lighting package and fresh fender flares. The revamped center console with a sleek EarthRoamer gauge cluster and control panel adds liveliness to the interior of the mobile home. 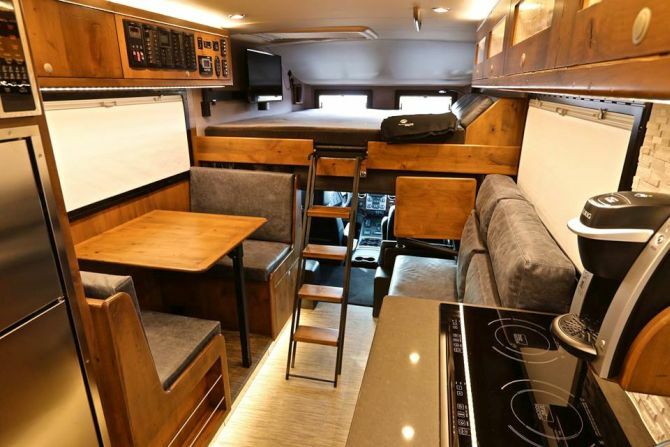 All luxury Xpedition vehicles from the company are sold factory direct and are custom built to order. It takes 8-12 months for the company to complete the order. So, if you want to reserve and know about pricing of the contemporary 2017 XV-LTS head to EarthRoamer’s official website. 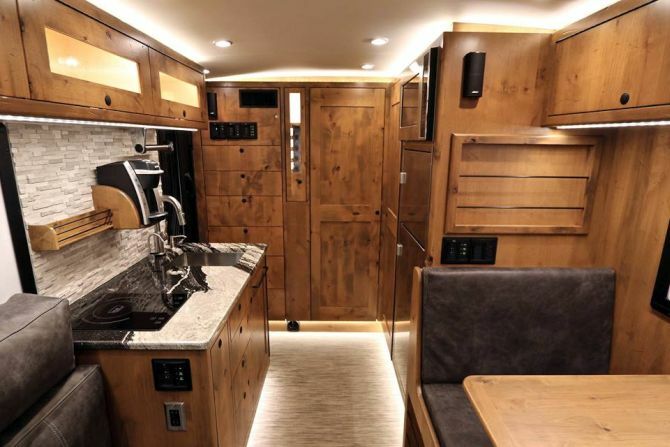 Well, till then have a look at this $500,000 luxury mobile home which EarthRoamer built for American singer-songwriter John Mayer back in 2015.